• Includes a 32 page book with rare photos, memorabilia and in-depth liner note essays by McNally, Miksis, acclaimed bluegrass scholar Neil V. Rosenberg, Sara Ruppenthal Katz, and Stu Goldstein. This set of discs is fascinating from a sociological point of view as well as from the point of view of a major Jerry fan. You hear voices and sounds from ordinary, everyday events like a birthday party or a coffeehouse from the early 1960s, before so much of what people think of as the 1960s had happened. You hear Jerry go from being decent beginning picker in 1961 to being a mind-blowing banjo virtuoso by 1964. He is playing with other great musicians, too, some of whom you will recognize like David Nelson and Robert Hunter. You may also know Sandy Rothman from the late 1980s "Almost Acoustic" album and tour. Lots of American musical history and heritage. When I heard Jerry's skill as a bluegrass musician by 1964, it occurred to me that one probable reason for his improvisational playing style was to keep the much simpler rock 'n roll interesting for him after picking so much fast and complex melodies on the banjo. Not something that I listen to every day, but it's an interesting look at "old-timey" music as Jerry and his compatriots called it in several recordings as well as how an artist that we all know and love developed into one of the greatest musicians of the late 20th century. Excellent! Already had most of these shows but I'll take high quality sound that this release provides any day of the week! I purchased the CD for my husband as he has been a die-hard fan since youth. He said it was fascinating, but would rather stick to his beloved Greatful Dead tunes. I must add that hearing Garcia jam that banjo was truly impressive. The sound quality is excellent and makes nice cruising music. I would listen to it again, but only once in awhile when I need that special dose of "brilliant!" Been a GreatfulDead fan for many years its really cool to hear music like this showing early influences on our favorite musicians. I'm really impressed on the sound quality. Great sound quality and a must for bluegrass roots of the Dead. This set takes me completely to another place and time. I love it totally. Just fun Stuff, only Jerry being Jerry younger. Love it!!!! 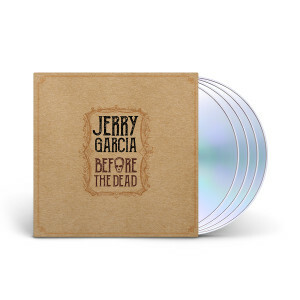 A must for anyone who collects the music of Jerry Garcia and the Grateful Dead. 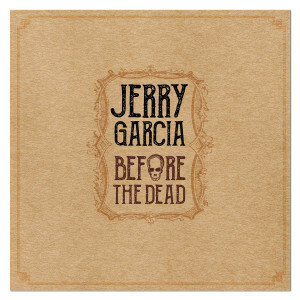 It is definitely the beginning of Jerry's music that will continue to evolve to the music of the Dead. I totally enjoyed it. Simply remarkable what the producers and engineers were able to do with a bunch of ancient homemade tapes. Very Impressed! As for the music, it is very listenable and I've quite it enjoyed their "bittersweet innocence". The rapid growth of the musical chops of these guys in a relatively short span of years is very apparent. What will the closest and attics of aging hippies and folkies reveal next? Love these new cuts. It really pulls Garcia’s whole musical life together..... kind of like the rug, man. Really though. Great stuff, takes me back to my bluegrass days. The album is great. The title promises everything it delivers, and oh how it delivers. From early collaborations with many of Jerry's friends. The album is rounded out to be some of the best of the early material I have come across after seeing droves of tapes, The album showed up promptly and ahead of schedule in perfect condition. This collection is a real treat. This is very beautiful music and there is one tune alone, (not saying which), that is worth the very reasonable price all by it's self. 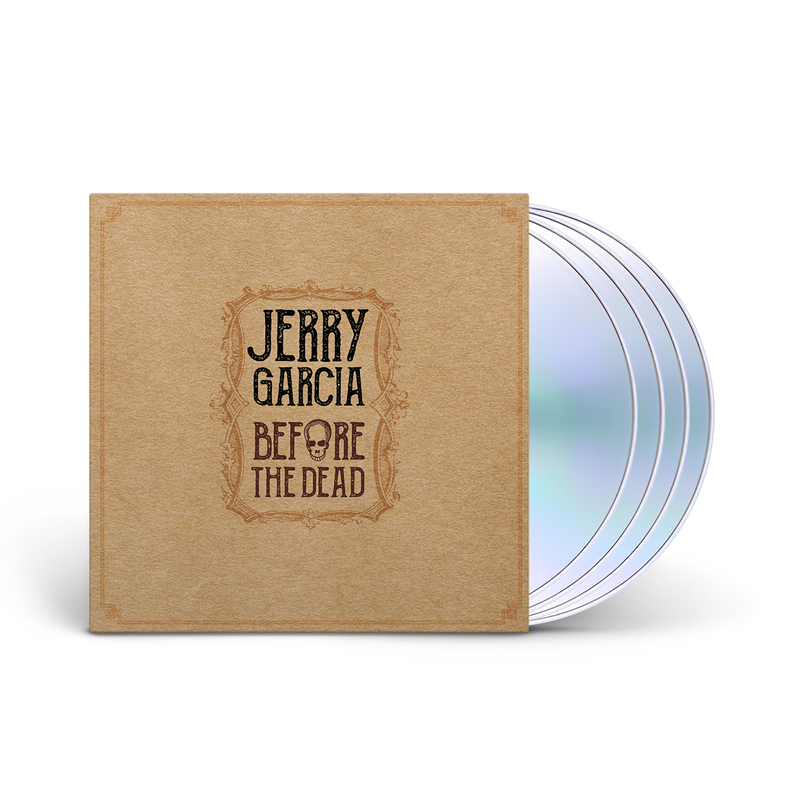 That is my honest opinion but I'm a hopeless Jerry fan &amp; there was no way I wasn't going to own this 4 CD set. Jerry's talent just shines through even in these super early performances. Clearly he was already a master player &amp; singer years ahead of what was to follow in 1965. I think this 4 CD package is just great. It really goes back into the heart of where it all began with the roots. The old blue grass, the old traditionals, the new ways to interpret them. Really fun hearing the old (or young) David Nelson and Robert Hunter. I found a few songs a would like to hear other versions, of as I have never heard them before, making this a well worthwhile purchase. And...you cannot beat the price. Thanks for all the hard work that went into this! BUY IT! YOU WILL LIKE IT!